Mysuru: Even as former Minister and BJP leader S.A Ramdas is on a collision course with the Mysuru City Corporation (MCC) seeking a permanent solution to the foul smell emanating from the Excel Solid Waste Treatment Plant or Sewage Farm at Vidyaranyapuram, Deputy Commissioner D. Randeep held a meeting with MCC officials at his office here yesterday. As soon as the meeting began, the DC sought to know the latest status of waste generation, segregation, transportation and disposal and the methods of waste management. MCC Commissioner G. Jagadeesha said that the city was generating 400 tonnes of waste every day out of which 260 tonnes were being disposed off. 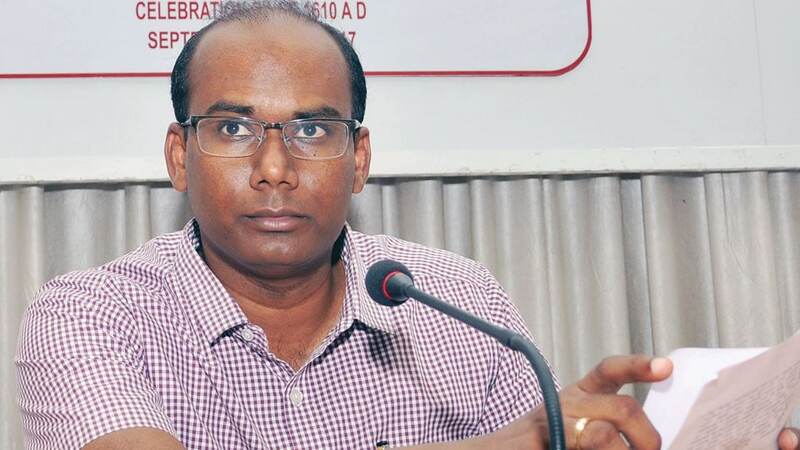 Pointing out that the Government has sanctioned two more waste disposal Plants at Kesare and Rayanakere and had approved upgradation of all existing waste disposal plants in the city at a total cost of Rs.54.7 crore, Jagadeesha said that the MCC was only awaiting a No Objection Certificate (NOC) from the State Pollution Control Board for the new Plants. Reacting on the allegation made by Ramdas that garbage trucks were being allowed from Kerala to dump waste at Vidyaranyapuram Sewage Farm in connivance of officials, the MCC Commissioner maintained that no outside parties were allowed to dump waste at the Excel Plant. He added that CCTV cameras will be installed at the Plant’s main entrance to ensure that the Plant is not misused by private parties. Explaining the measures taken by the MCC for complete and effective waste management and disposal, Jagadeesha said that all the stakeholders have been asked to appropriately segregate waste at the source itself, so as to ensure scientific disposal. He further said that the MCC was mulling filing of criminal cases against those hospitals failing to meet the standards required for waste segregation and disposal. DC Randeep asked officials to come up with a viable bio-gas model for ‘Waste to Energy’ project proposed to be set up. He also directed the MCC Commissioner to hold an exclusive meeting with bulk waste generators such as hospitals, hotels and restaurants, markets etc., to find a lasting solution to waste management issue, to which Jagadeesha said that he would hold a meeting with stakeholders where all issues concerning waste management will be dealt with in detail.